In 2010, Melissa Lowery set out to create a film — her first feature-length film — that could serve as a guidebook for her two daughters. Her documentary, “Black Girl in Suburbia,” shares the experiences of race and identity of black girls growing up in mostly white communities. Oregon, it seemed, was the ideal place to film. With only 2 percent of the population identifying as black in 2013, according to the U.S. Census Bureau, many of the black youth in Portland look in their schools, their neighborhoods, and their communities, and find theirs is the only black face to be seen. 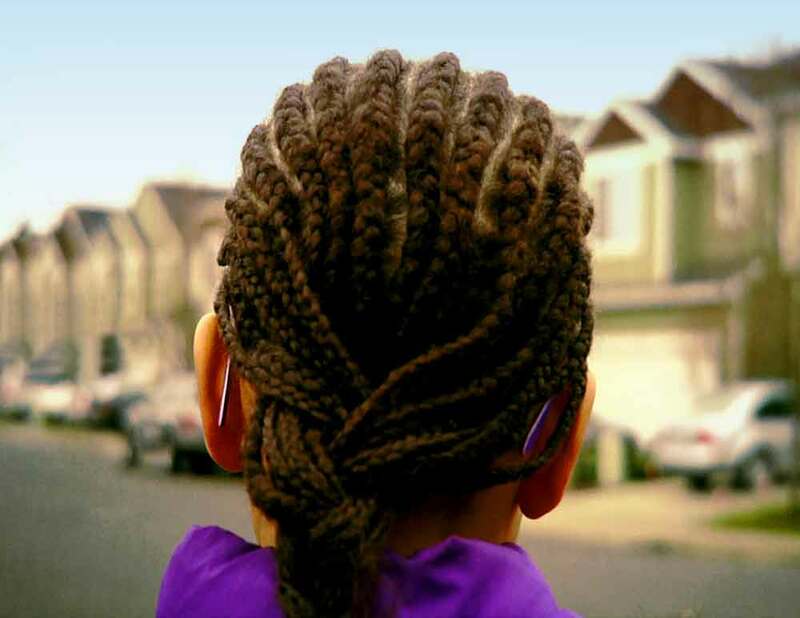 The spark for “Black Girl in Suburbia” was first ignited when Lowery’s oldest daughter came home from school with a story about a classmate asking why her hair was different. The conversation that ensued inspired Lowery, a recent graduate of Pacific University’s media studies program, to create a film that could help her daughters navigate growing up as some of the few people of color in their community in Hillsboro, just as Lowery grew up in a mostly white community in West Linn. But when Lowery searched online for information on black girls growing up in suburban neighborhoods, the results were not helpful. This was a story that hadn’t really been publicly shared before. So Lowery got to work. And the response was overwhelming. Within two days, the Kickstarter account she set up to fund the project raised $2,000. In the end it raised more than $13,000, more than Lowery needed, and once her film was released, she began to receive feedback from women across the country who felt that the stories shared in the film deeply resonated with their own lives. The film has screened in the Portland area and will be featured in this month’s Black Film Festival at the Hollywood Theatre on Feb. 21. Sarah Hansell: Having screened your film all over the Portland area, what responses have you received, especially from young black girls growing up in mostly white communities? Melissa Lowery: It’s different at every screening, but the conversations are just as deep and just as rich and just as authentic for each group. At my premiere I had a black woman come up to me — she was maybe in her 70s, just crying and saying, “I’m so happy because I went through that same thing when I was a girl and never told anybody my feelings, about my experience. I didn’t think anyone would understand. I’m so thankful that I get to see this story being told out loud and being talked about and shared.” And younger girls, kind of the same thing: “I’m not by myself.” It makes sense that kids of color who have this experience don’t share, because unless they have a close friend who is also a person of color going through the same thing, nobody else is really going to understand. Their white teachers and white friends are not going to understand. A poster image from Melissa Lowery's film "Black Girl in Suburbia"
Poster art from "Black Girl in Suburbia"
S.H. : The film is and was being worked on, released and screened in the midst of the Black Lives Matter movement and widespread protests. Tell me about the experience of having critical discussions in the context of the film about race, identity and racial stereotypes during these events. M.L. : That was a rough time — just having discussions about racial profiling and how media tends to put together circumstances. For example, having Eric Garner being looked at as a criminal and a sort of animal. Instead of being looked at as a father and a husband, he’s a thief. And then, compare that to a white guy who goes into a movie theater and shoots the whole place up, and people say, “Oh, but he was so quiet, he was such a sweet boy, I don’t know what happened.” These are the things you have to look at, instead of make excuses for. Having those kinds of conversations in relation to experiences with “Black Girl in Suburbia” and stereotypes and assumptions — again, it’s these little micro-aggressions that happen on a day-to-day basis with kids of color, not just African-American kids. It’s the sort of stereotype where — I always use this example: “The Cosby Show” would be on Thursday. And then I’d go to school on Friday and I’d always get a question about why Vanessa wore her hair like that. Like I know the Cosbys like they’re real people, and I go to Brooklyn every weekend to visit them to say, “I’m going to get some questions on Friday, and I’m going to need some answers.” Or the generalized, “Why do black people …?” Which is assuming, “Oh, you know every black person in the world, so just tell me about it.” Those are the sort of assumptions of people who kind of live in a bubble and don’t go outside of the bubble because it’s too scary. If they stay in that bubble, all they see of other people is on television or media. S.H. : As a woman and director of color, what are your thoughts on the current conversation about “Selma” director Ava DuVernay’s Oscar snub and the whiteness of the Oscars and the mainstream movie industry in general? M.L. : This is my first film. I’m still a newbie. When it comes to the Oscars, I take it with a grain of salt because it’s just like any other organization. You have your elite group, mostly white men, and their decisions come down to what they like to see. It’s not necessarily how great your work is. So for me, with Ava kind of being snubbed for a nomination, which I absolutely feel she should have had, I don’t feel that takes away from anything that she’s done as a director. I just think it is part of that organization that has not really changed. It’s one of those systems that is slow to change. There’s still a lot of work left to do, and I don’t want to put pressure on myself as an African-American woman director, because I want to be seen as a director. I’m already a woman and I am African-American; those things are never going to change. I’m confident in my work right now, and I hope to be confident of the work that I do in the future based on myself as a director, and hopefully I can be seen in a sort of equal light with a white director, but we’re not there yet. And that’s OK. I don’t have to win awards to know that my work is good and it’s reaching people.